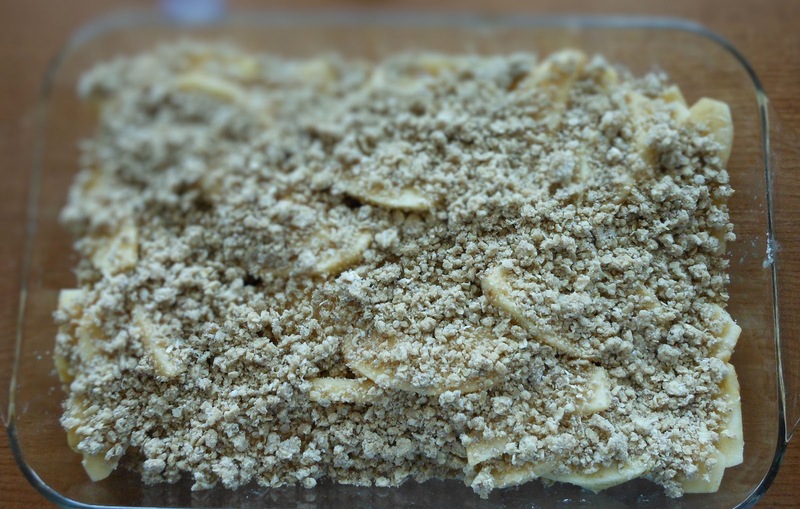 Seriously, I have made apple crisp so many times in the past, but never really followed any recipes until this time when my sister-in-law sent me the link of this wonderful recipe. I saw a lot of great comments from the reviews. 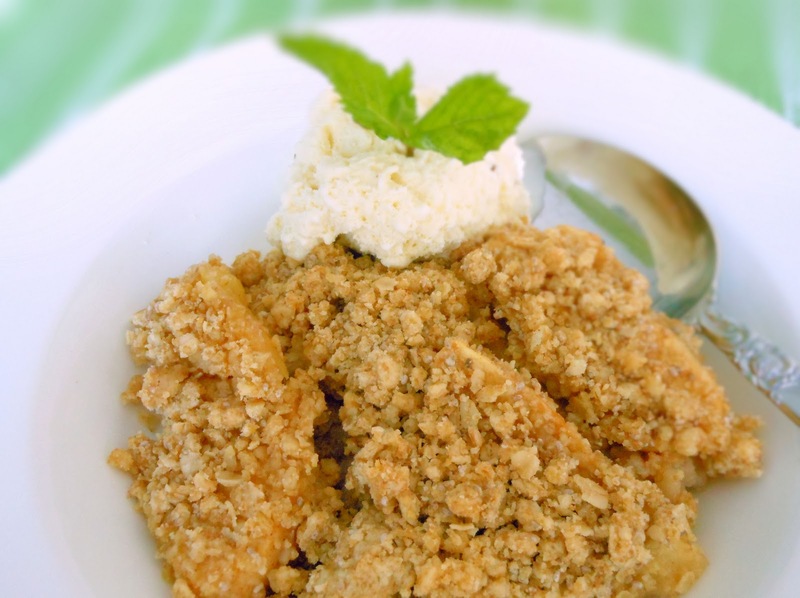 Only a few were commenting that the apple crisp was too sweet. I tried this recipe yesterday, but adapted a little bit to suit my taste. I didn't add water to the apples like the recipe said, and I cut the amount of sugar by half. The apple crisp was very delicious. I will definitely make it again. Place the sliced apples in a 9 "X 13"baking dish. Mix with sugar, 1 tablespoon of flour, and cinnamon well. Combine flour, oats, brown sugar, baking powder, baking soda, and softened butter together. 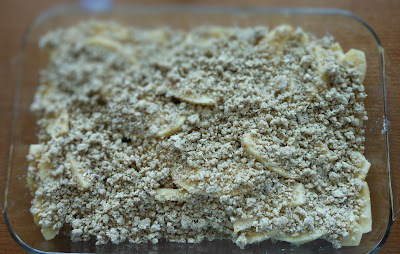 Crumble over the apple mixture.